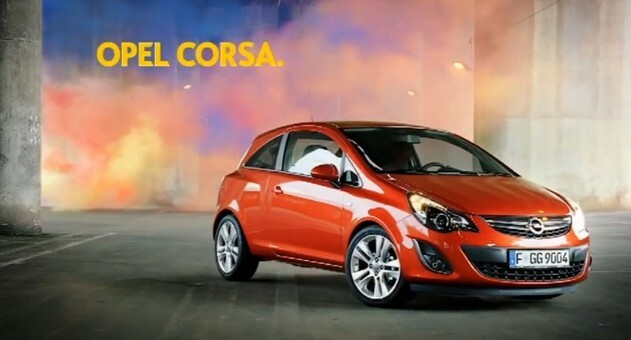 As an intriguing factoid, Chevy‘s (kind of sort-of) analogue of the Corsa — the Sonic — offers ten colors for the 2013 model year, with several new special colors on the way for 2014. Styling of the back end of this car is so much better than the chopped off-backed into a brick wall at 30 mph look of the Sonic hatch. Good ad. Considering the intended market for this car, the colors are appropriate. Are European factories set up differently than US factories? Seems like the General is opting to reduce exterior colors on its new offerings. Appearance factors — which include color — are still an important part of the vehicle purchase process. Maybe not the factories, but the way in which cars are brought to market. I believe that in the USA much higher percentage of cars are produced to be kept at dealer’s premises until a customer snatches them up, while in Europe a higher precentage is built and delivered according to a customer’s whishes. But this is a WAG and might be wrong. The Corsa would make a great Buick. I think they would have made even better Pontiacs. Vauxhall Corsa has more than 14 colour choices here in UK perhaps illustrating its appeal to a wide audience. Another very nice car the likes of which is unavailable in the U.S.